Fairfax, VA (April 1, 2007)—After months of speculation, it was revealed today that BabyBlue had joined Bob Dylan’s band. Sources close to the legendary musician’s management confirmed that “BabyBlue” had indeed joined Bob Dylan’s backup band as a tambourine player. Rumors persist that BabyBlue’s tambourine performances will be featured on Dylan’s next album. 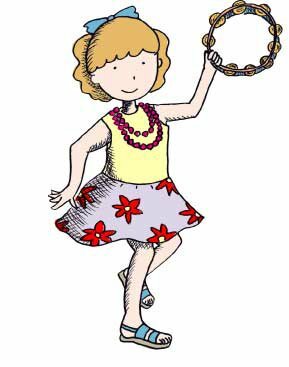 “It is indeed possible, she sure can hit that tambourine,” Maxwell said. This entry was posted in Bob Dylan, Episcopal News. Bookmark the permalink. Obviously she learnt her percussion skills from none other than Bp Minns.“You’re causing a scene with the tambourine, don’t give up the fight.”-From the song, ‘You’re Just Lucky’Album, <>Face Your Fun<>by the Lassie FoundationPS: She must have left for the tour Saturday evening as we ran into BB in our Fairfax Starbucks yesterday. Well, what else can you do when you are stuck on a bus for five hours trying to find some place called < HREF="http://bobdylan.com/moderntimes/tour/main.html" REL="nofollow">Gothenburg, Scandinavium<>. You do what you can – couldn’t quite got him to actually hit the darn thing though. Needless to say, Bob popped him with a flying harmonica and knocked the pour guy out cold so he’s off for the rest of the tour. Next? er, does anyone have a map from < HREF="http://bobdylan.com/moderntimes/tour/main.html." REL="nofollow">Copenhagen to Hamburg<>? Well, the most direct route is to take E55 and E47 to Fehman, then take the ferry to Redby, and then A1 (a wonderful highway) all the way in to Hamburg. However, the size of your bus might be a factor on the ferry; better to call ahead (sorry, I misplaced that phone number).The long way around is to take E20 east to Fredericia, then E45 and A7 all the way south to Hamburg. That’s a long, tough drive if you don’t have a relief driver.